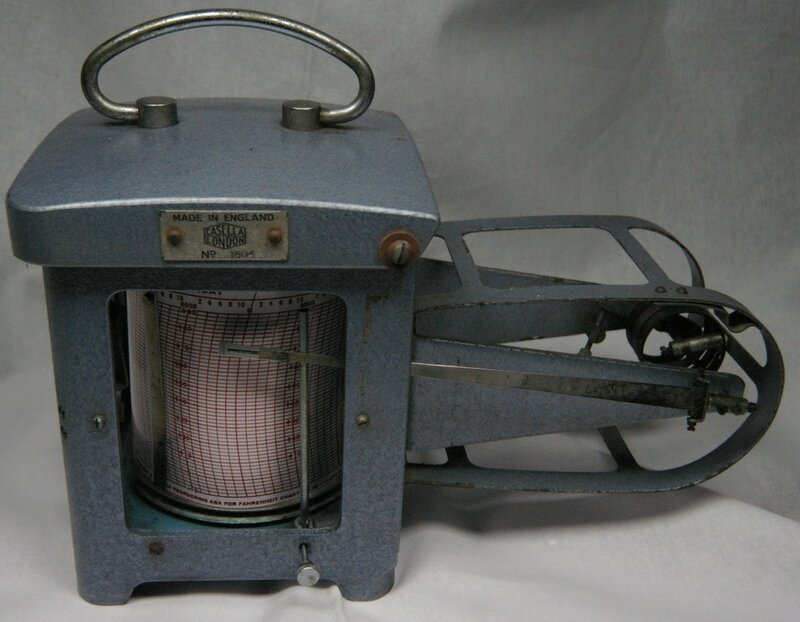 ​This Casella T6554 thermograph was made by the C F Casella company of London. It's shown in the 1958 Casella catalog available on this website, but not in the 1948 catalog. I suspect this is of newer manufacture. I currently use a Taylor Instruments No. 86 chart on it. The clock mainspring is rather weak, it has trouble running for seven days. Go to Casella catalog page.